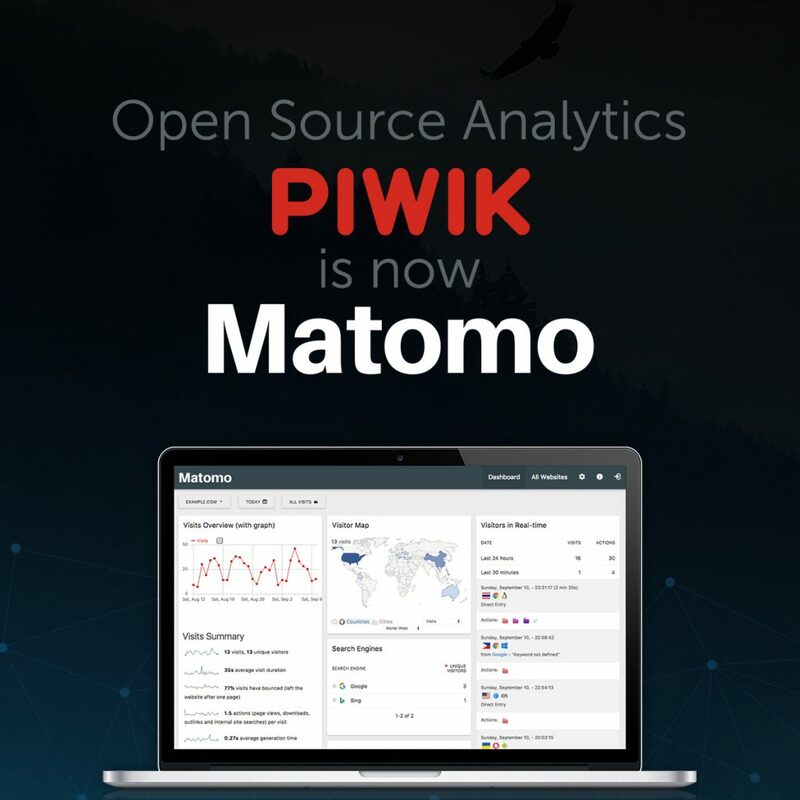 Recently this week we had news that Piwik, the most important suite of free software and open source for Traffic Analytics, has become Matomo. According to the official announcement this year, this change is due marketing, image innovation and very likely, we could add, some changes on the scope of Matomo as a project. As we have understood according to the announcement, there is no change in Matomo other than the name, as the current license and engine code are the same as the time of the announcement. Every trace of Piwik on GitHub and social media has been removed pointing now to Matomo.org. And for all this, what is Matomo? Matomo meets with being short, easy to pronounce and remember, even more, it means honesty in Japanese, what goes in hand with the scope of the project since its beginning. We hope that this change allows the company and the developers the boost to their business platform and development in favor of the continuity of the operations as the best suite of digital analytics of free software and open source, also as the main competitor of Google Analytics. The digital analytics service we offer included in our mid-range and superior hosting plans uses Piwik (now Matomo) as a detailed analytics platform for your site’s traffic. We wish Matomo the best in this own restart with the beginning of 2018. Success!